South Carolina LowCountry Nature Journaling and Art: Peepers, Leopards and Bronzes...... Oh My! Peepers, Leopards and Bronzes...... Oh My! 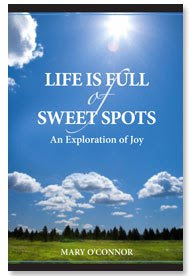 Well, my title doesn't roll off the tongue quite like Lions Tigers, and Bears.... oh my! But, the evening frog chorus that has filled my ears for the last week sure does bring a smile. Yellow Jessamine, Gelsemium sempervirens (l.) Aiton f., has started to bloom once again. I broke off a sprig and put it in a vase. I want to do an illustration of it to put on a spring themed wedding invitation. Think I'll include some red watercolor droplets to represent the red maples buds that are popping. Here in the north we have a jasmine variant that just started blooming this weekend, Winter Jasmine, or Jasminum nudiflorum. Every once in a while it will start blooming in December and continue sporadically through the winter. But most times it starts about now, often showing its beautiful yellow blossoms against a white background of snow. Our "Arnold's Promise" Witch Hazel also started its yellow display this past weekend. We planted your jasmine here once a few years ago but sadly it never survived. We knew we were taking a chance but that's part of the fun of gardening. Our house finches and song sparrows have started singing. So I think it all adds up to: SPRING. I'm so jealous. 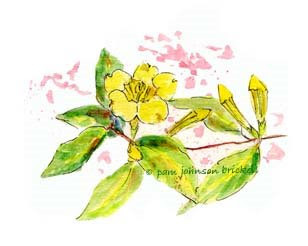 I'm planning to order some yellow jessamine for my arbor this spring. We're expecting snow over the next three days - blech. Love those vines, along with honeysuckle ~ such sweet aromas. Enjoying your posts, Pam! Thank you, Ken, Shannon and SweetPea for stopping in! We've been cold again, frogs have stopped singing. The Yellow Jessamine is really getting more pronounced though. Love that shock of yellow in the dull winter landscape!